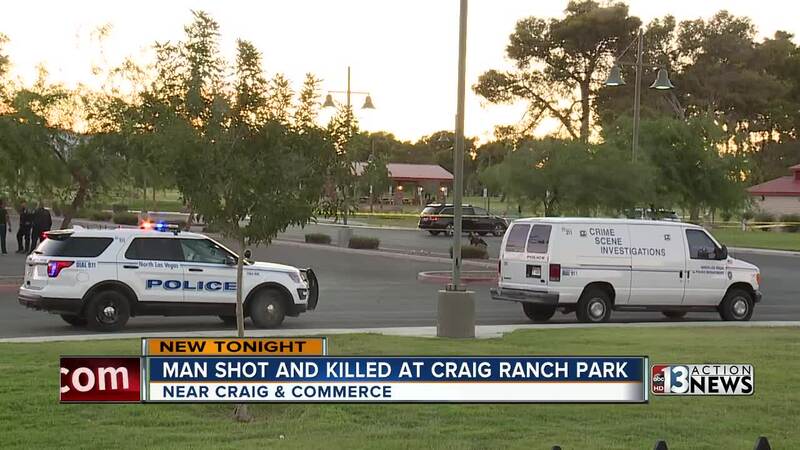 A man in his 20s is dead after being shot and killed at Craig Ranch Regional Park on Aug. 30. This is a roundup of all the breaking news from around the Las Vegas valley for August 30, 2018. North Las Vegas police are investigating a homicide at Craig Ranch Park. Police say the victim is a man in his 20s and they don't believe the shooting was random. Please avoid the area. Seven people and three dogs have been displaced in a fire in the 100 block of Windsong Street, near Buffalo and Westcliff drives. The fire was mostly contained to the attic. No injuries were reported. The Clark County Fire Department responded to a reported structure fire at the Hamptons Apartments, 3070 S. Nellis Blvd., near Vegas Valley Drive. Upon arrival crews reported light smoke in an apartment and evidence of a fire that had been extinguished by a single sprinkler head. The fire was confined to the room contents and did not extend into the structure itself. One person was reported to have suffered minor burns, and did not require transport.